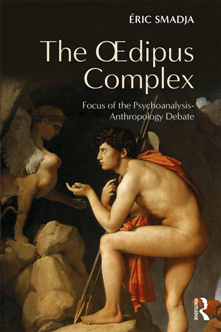 This book examines the contentious relationship between psychoanalysis and anthropology as it has played out in disputes surrounding the Oedipus complex. Here, Eric Smadja explores the complicated historical and epistemological conditions leading up to the emergence of the conflict between the two disciplines. He considers the origins of each science, the 'creation' of the Oedipus complex, and the place, role and influence of Freud's key and controversial work Totem and Taboo, both in the history of psychoanalysis and as it connects with anthropology internationally. Focusing on such key figures as Bronislaw Malinowski, Ernest Jones, Franz Boas, Georges Devereux, Emile Durkheim, Claude Levi-Strauss and Jacques Lacan, Smadja charts the course of the debate as it unfolded during the twentieth century and tracks its contemporary status of the debate, with a focus on figures in both France and the United States. Discussing the divergences and convergences between the two fields, he compares and contrasts their historical, epistemological and methodological features and reflects on the new 'acculturative' disciplines emerging from their interaction. The book concludes with a look at what the conflictual history of these two human sciences can tell us about the history of ideas and their processes and modes of communication. Exploring a dispute which reaches back to the very beginnings of psychoanalysis and anthropology, The Oedipus Complex will appeal to psychoanalysts in practice and in training, psychotherapists and academics and students of psychoanalytic studies, anthropology and the history of ideas.